Self-employed general practice, including work as arbitrator and mediator, 2011-present; Executive Vice President and General Counsel, MacAndrews & Forbes Holdings Inc., 2008-10; Of Counsel, Skadden Arps Slate Meagher & Flom, 2004-08; Partner, Shapiro Mitchell Forman Allen & Miller, 2002-04; Of Counsel, Morvillo Abramowitz Grand Iason & Silberberg, PC, 1991-2002; Partner, Skadden Arps Slate Meagher & Flom, 1968-91; Chief Appellate Attorney/Assistant U.S. Attorney, United States Attorney’s Office, Southern District of New York, 1963-68. 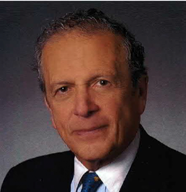 Approximately 40 years’ experience as a civil litigator, starting with Skadden Arps, where for three years served as co-head of the firm’s litigation department and was in charge of or supervised wide variety of litigation matters, including numerous multi-billion dollar disputes involving corporations and financial institutions, and then Morvillo Abramowitz, where continued to do complex civil litigation matters and developed practice representing high-profile executives and professionals in contractual disputes (regarding termination provisions and damage/injunctive remedies) with their employers in, inter alia, the financial and retail industries. Continued comparable work at the Shapiro Mitchell firm and when rejoined Skadden Arps in 2004. Practice has included acting as lead attorney or as supervisory participant in significant litigations, including representing financial and other institutions in high stakes breach of contract claims involving, inter alia, a commodities, futures and prime brokerage entity and allegations that it engaged in multi-billion dollar repo and swap transactions in order to misrepresent its true financial condition and that it misappropriated funds from accounts of customers; three financial private equity firms and their obligations to satisfy substantial funding commitments in the context of a dispute whether the securities and debt markets had been impacted by material adverse events; an investment banking firm alleged to have engaged in fraud and to have breached fiduciary duties to a former corporate client in advising another corporate client in connection with a stock merger between the two clients; and a partner in a financial institution who started a competing entity against claims by his former partners that he illegally solicited clients and misappropriated other assets from the institution. Also involved in corporate matters including advising boards of directors on all aspects of their governance responsibilities and fiduciary duties owed to shareholders and other stakeholders. Substantial practical experience in the area of corporate law, having served (i) as General Counsel to a prominent holding company involved in such diverse business interests as military supplies and pharmaceuticals, and (ii) as a director of two public companies. Service as General Counsel involved direct supervisory role over diverse and substantial administrative and litigation matters, including dispute with multinational company over interpretation of cost and pricing provisions of military contracts involving supply of hundreds of millions of dollars of military equipment and other services to Federal agencies. Member, AAA Panel of Neutrals. Served as Chairman of an AAA arbitration panel concerning a dispute between partners of a financial institution that owned a hedge fund and an investment management/brokerage business. Claims involved disputed issues, under a series of complex agreements executed over a five-year period, regarding amount of compensation owed to each partner and responsibility of each partner for expenses incurred in running the businesses. Issue of expenses involved different trading practices and strategies engaged in by each partner. Also served as a party-appointed arbitrator in a matter in which partners in a joint venture made claims to the most valuable assets of the venture in the context of an asserted conflict between the default provisions in the governing legal documents and the fiduciary duties owed by partners to each other. Served as Mediator in a dispute between a prominent hedge fund and one of its equally prominent customers regarding the propriety, under the governing contractual documents and other written materials provided to the customer of investments made by the hedge fund in another fund which engaged in radically different trading strategies, as well as issues involving the disclosure obligations of the hedge fund and the degree of due diligence required in making such investments. Another mediated dispute involved numerous competing factual and novel legal claims between large industrial companies seeking damages for alleged breaches of indemnification and cross-indemnification obligations arising under an asset purchase agreement. Matter had been referred for mediation after three prominent law firms directed by Court to resolve the matter. Also participated in arbitrations as counsel, including a six-week proceeding representing a corporation that had terminated its chief executive officer and chief financial officer for cause. Proceeding involved about 20 witnesses and dealt extensively with the grounds for termination, including financial improprieties. Additional matters involved, inter alia, representation of a terminated executive in her successful claim that upon termination she was entitled to a substantial bonus under provisions of her employment agreement with a financial institution; one partner to a joint venture agreement to provide military supplies to a Middle East country in connection with claims by his partner that he was owed substantial amounts of money from the venture (proceeding lasted about 5 weeks and claim involved $60M+); and a pharmaceutical company in connection with a dispute with an individual who claimed ownership interest in a drug developed by the company. Admitted to Bar: New York 1963; U.S. District Court, Southern District of New York, 1968; U.S. Court of Appeals, Second Circuit, 1967; U.S. Court of Appeals, First Circuit, 2012.